It is simple. The lawyer you choose in your personal injury case matters. You lawyer can mean the difference between recovering the damages you need and getting little or nothing. For years, people across Western New York have placed their trust in the law firm of Campbell & Associates. 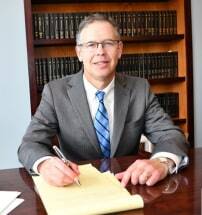 With offices in Jamestown, Eden, Buffalo and Dunkirk, we have become known for providing exceptional legal representation to people who have sustained serious injuries due to another's negligence. Our law firm accepts all types of cases, from car, truck and motorcycle accidents to construction site accidents, from slip-and-fall cases to injuries caused by dangerous or defective products. In each case we take there is a common theme: specifically, our client was harmed, sometimes catastrophically so, by a person or a company in a preventable accident. We work relentlessly to compile all of the evidence and build the best possible case for our clients. Our lawyers, Colin Campbell, Jason Telaak and Adam Hains have decades of combined experience, which we will bring to bear on your case. At Campbell & Associates we prepare every case for trial, working with experts as necessary, and know what is required to give our clients the best chance of success. However your case is resolved, we will be with you each step of the way. We take all personal injury and wrongful death cases on a contingency fee basis, meaning you only pay attorney's fees if we are successful. It costs nothing to speak to us about your case. Call 716-575-7444 today.